PNEUMSYS Advance Piping Solutions offers a push fit solution using EQO-Fluids Fittings and Aluminum Piping which is of a thicker gauge and sourced from reputed Aluminum Pipe manufacturers in India. 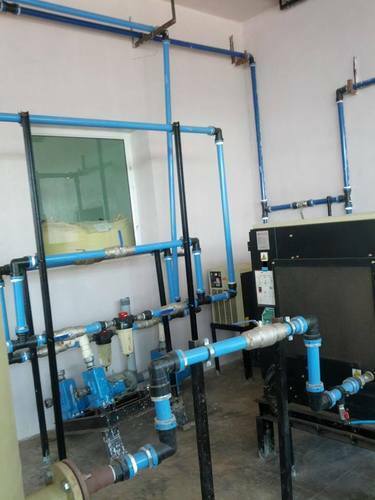 Incorporated in the year 2001, Pneumsys Advance Piping Solutions is a company which deals in engineering products and energy management services. We work with complete dedication to provide our clients with advanced piping technologies. We also provide competencies of the plant productivity in terms of energy usage linked with the compressors. We offer a specialized array of EQO Fluids High Pressure fittings that has push-in design and works at test pressure of 270 bar and 70 bar operating pressure. Clients can avail these fittings from us in 20 mm to 110 mm diameter. In order to prevent fires from taking place instead of controlling the fire once it happened, our company is offering a unique Fire Prevention system from ISOLCELL Italy. By controlling the atmosphere artificially, these systems lower down the content of oxygen along with the chances of fire ignition, without harming the human beings. We provide energy management solutions from VP Instruments, Netherlands which are crucial for running a plant. It accurately measure the energy demand and consumption for the plant.